The magical avocado has become a trendy fruit thanks in large part to being rich in healthy unsaturated fats. Surely you've heard the expression "An apple a day keeps the doctor away," but it looks like it's time for the apple to step aside because now nutrition experts advise eating an avocado every day. That will be no problem after you try this recipe! 1. Preheat the oven to 325°F. Dice the red pepper and add the pieces to a bowl, along with the chives. 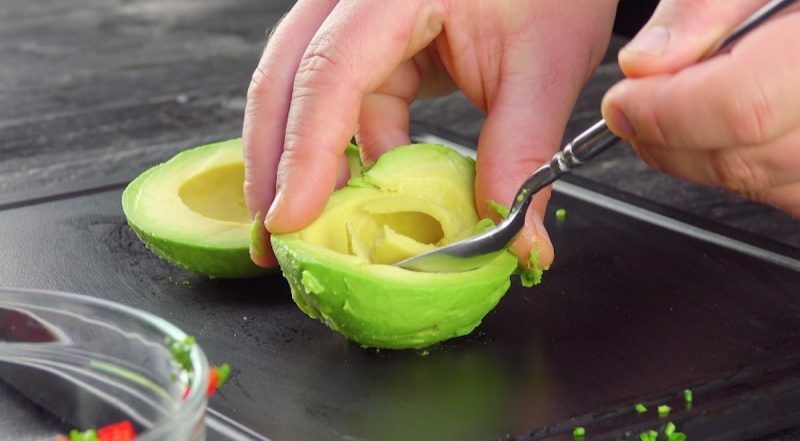 Cut the avocado in half and remove the pit and outer skin. Scoop some of the avocado out of the center section and add it to the bowl of peppers and chives. 2. 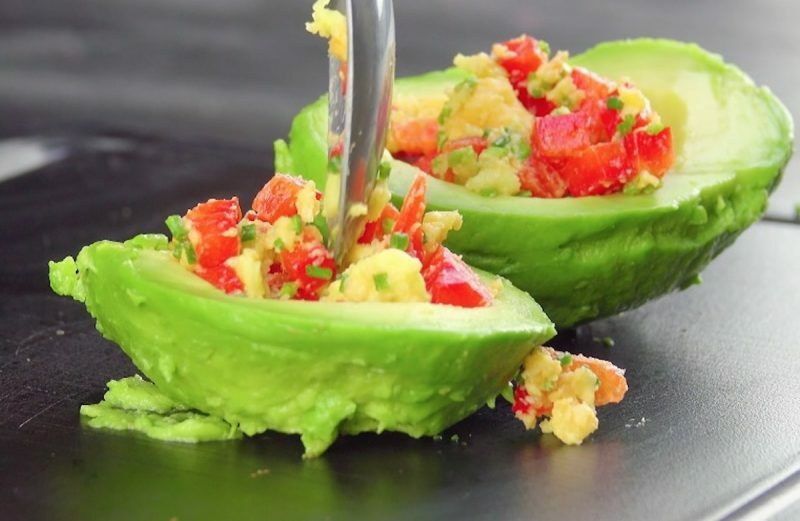 Add the shredded cheddar to the bowl, mix all the ingredients together, and spoon the mixture into the avocado centers. 3. 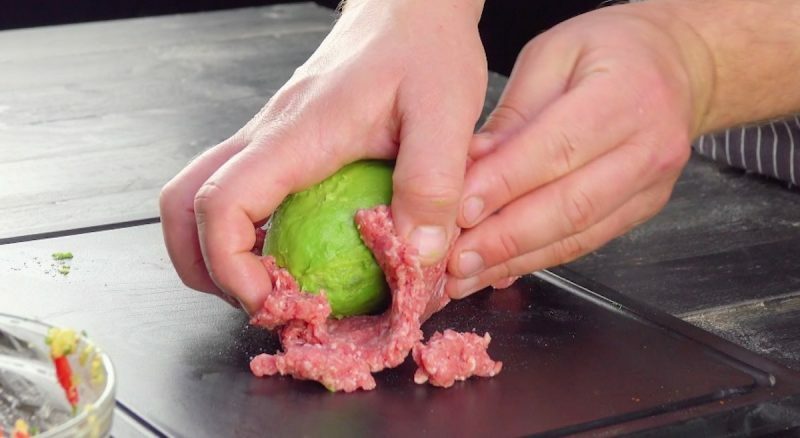 Firmly press the avocado halves together and mold the ground beef around the whole avocado. 4. Wrap the beef avocado in bacon and brush with BBQ sauce. Bake for 20 minutes until nice and crispy. 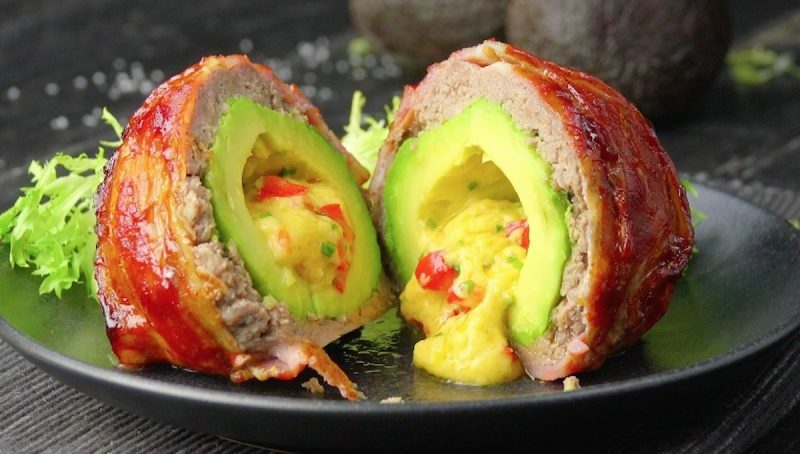 Avocados are great on their own, but everything just tastes better with bacon and a cheesy filling! You can find the recipe for the Green Egg & Ham featured in the bonus video here.